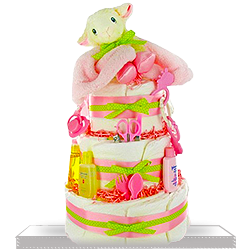 This pink and bright green diaper cake is perfect for that sweet new girl. 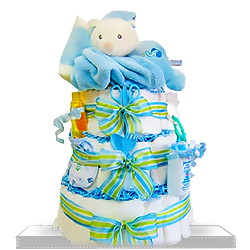 It contains 50 disposable Pampers Swaddlers and an adorable plush lamb. Also included in this delux set is a soft security blanket, a manicure set, a fork & spoon set, Link Toys, a pacifier and a pacifier clip. 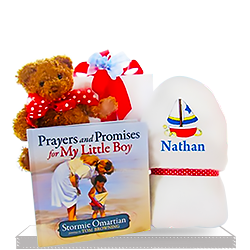 We completed this thoughtful basket with a variety of Johnson's baby care products. The gift was so cute. Better than expected and arrived on time. It was received with great enthusiasm. 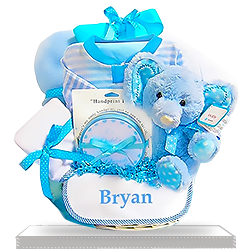 Ordering from giftbaskets4baby was fast easy. It was on time and beautifully presented. Thank you! Bang for the buck! 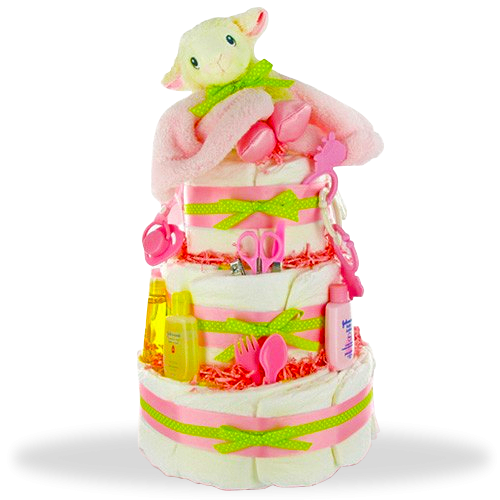 Mother to be whom I sent this diaper cake told that she was delighted with it! I know from the recipient that it came on time and was nice but I didn’t see it in person.